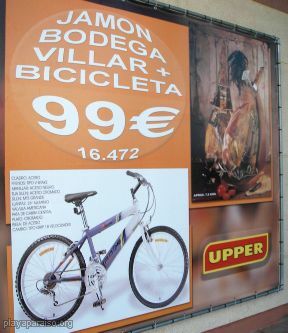 Now this is what I call an imaginative and highly targeted special offer. 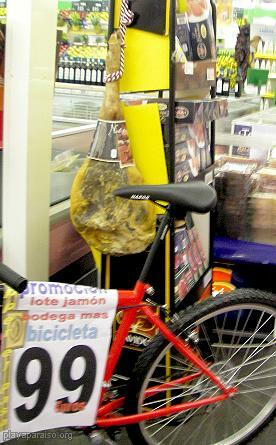 The local Upper supermarket was offering a combination of a bicycle and 4 kg Serrano ham for only 99. It's not every day that a customer would want that combination, but I expect they would be willing to travel some distance if they did.